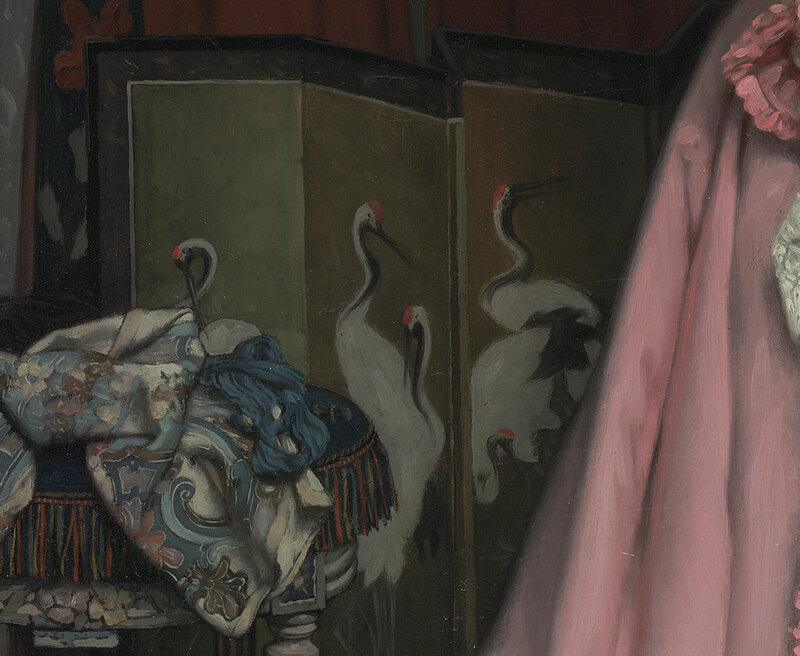 What Are Japanese and Chinese Objects Doing in This French Aristocrat’s Bedroom? We’re answering visitors’ questions about art at the Getty. Today’s question: What do the Asian objects in this French painting mean? 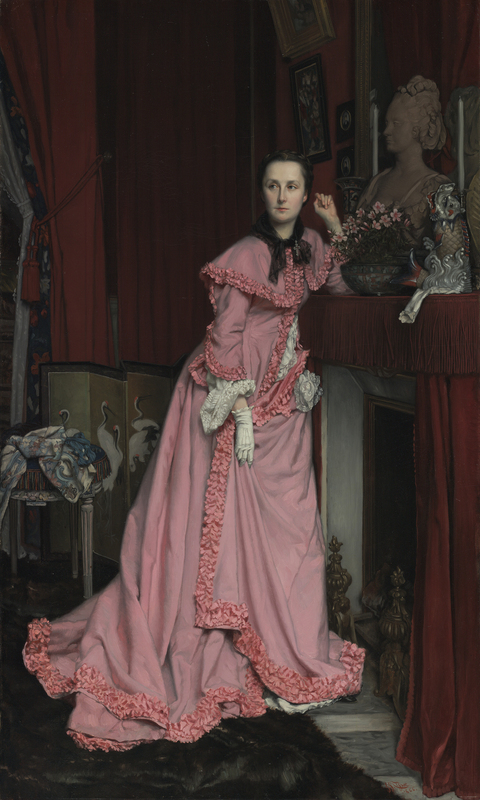 This 1866 portrait shows a French noblewoman in a peignoir (French for woman’s dressing gown) in the private quarters of the Château de Paulhac, her family castle. Everything is pink ruffles, luxury, and lace. Her outfit and surrounding furnishings are French through and through. But if you look carefully, there are some things that seem out of place—objects tucked away in the background that look like they may have come from Japan or China. What are these things, and why did the artist include them in the portrait? At the bottom left of the portrait, there’s a small gold folding screen covered in white cranes. In Japan such a screen would have been used in front of a fireplace. Art historians are pretty sure that the original object depicted here is from Japan (rather than made in Europe in the Japanese style), because of its size and the care taken in painting the cranes, a popular subject of similar screens found in Japan. On the mantle, there are three vases of unknown origin. The most visible one, at the far right, takes the shape of a fish. Experts aren’t quite sure what to make of this, as it appears to have the head of a dragon, too! Or, the vase may be a Japanese or European interpretation of a Chinese object. During the early days of Japonisme (literally “Japan-ism,” the European fad for Japanese decorative objects), collectors and dealers had trouble telling a Chinese import apart from a Japanese import. To make things more confusing, European artists began to make work that resembled both. What Does the Presence of These Objects Tell Us? To answer this question, we need to do some digging into history. I turned to Getty paintings curator Scott Allan and art historian Gabriel Weisberg, who helped guide me to some interesting answers. This portrait depicts aristocrat Thérèse-Stephanie-Sophie Feuillant—the Marquise de Miramon—dates to 1866, and reflects the emerging European trend of Japonisme. 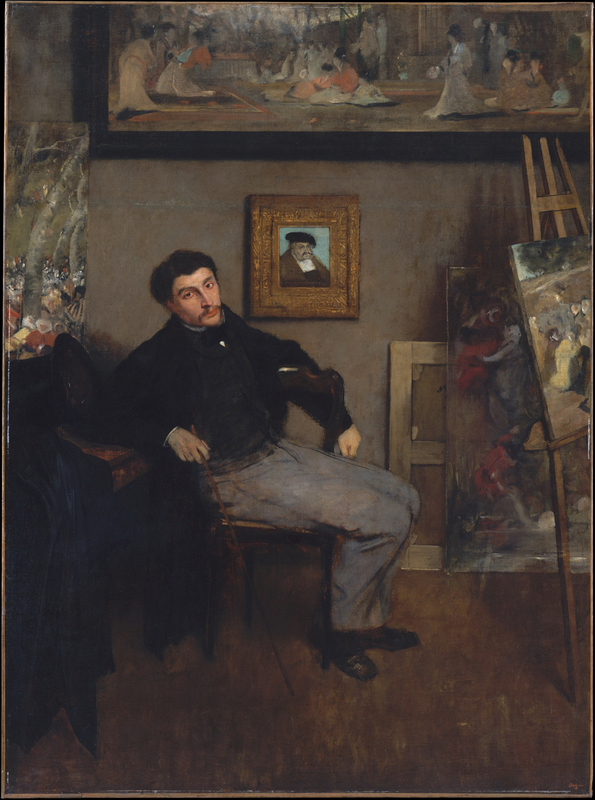 Just look at Edgar Degas’ portrait of Tissot, shown below, which shows Tissot seated in front of a large picture in a Japanese style. 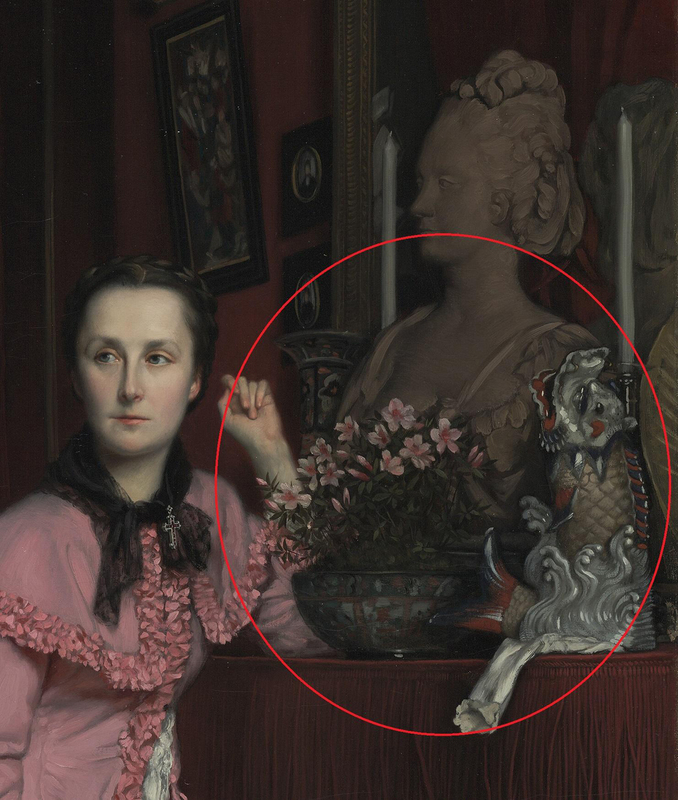 So what do these objects mean in the Getty’s portrait of the Marquise? In European art of the time, Japanese objects were symbols of upper-class style and taste, though they took on different meanings for men and women. In portraits of men, these objects were meant to suggest their role as explorers and connoisseurs of objects from foreign lands. But in portraits of women, the objects tended to portray them as consumers who were merely interested in keeping up with trends. 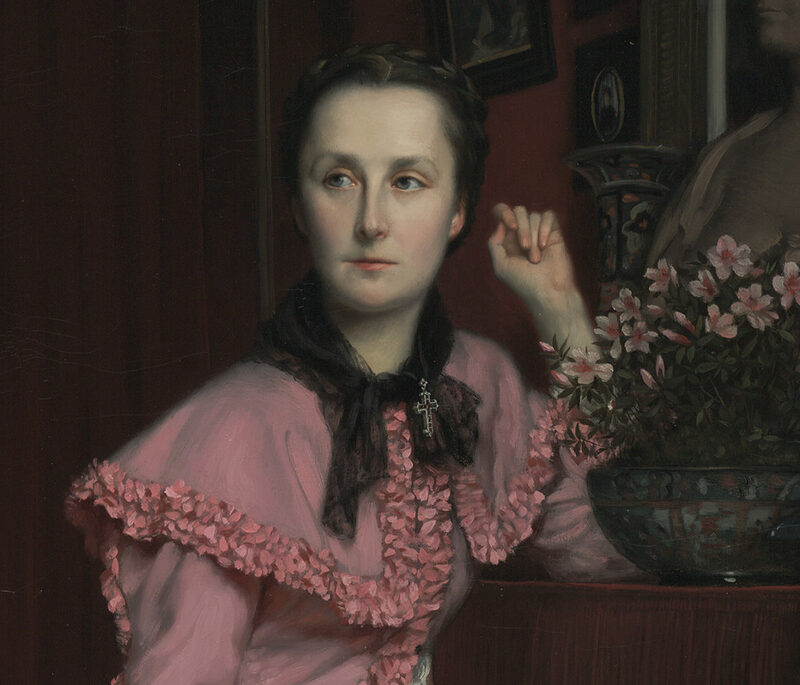 Tissot’s portrait of the Marquise, however, indicates that she’s not so easily stereotyped. Her dress, considered to be informal—believe it or not!—and the setting of her bedroom or dressing room, an intimate space, suggests that she kept these objects for private viewing rather than displaying them to impress guests. 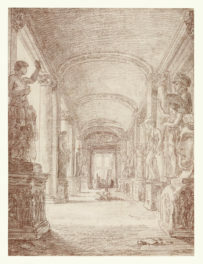 In this single artwork, we find multiple examples of cross-cultural influence. To me, this suggests the value of being attentive to the complexities, origins, and journeys of things and ideas, aesthetic and otherwise. Interested to explore more on this theme? Read more about evidence of cross-cultural exchange with China and Japan as seen in our collection. Got your own questions? Join us for #AskACurator Day on Twitter this September 14—or leave me a comment! 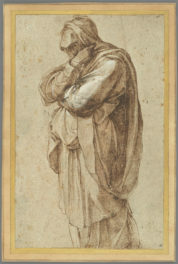 And explore answers to more art questions in our #QuestFest series on the Getty Iris. I was a 2016 Multicultural Undergraduate Intern in the Getty Museum’s Communications department. I study painting and sculpture at the Cooper Union.